Aker Solutions will be the sole supplier for all of the oil company's surface wellhead equipment, installation and lifecycle services operations. International oil services group Aker Solutions has signed a two-year frame agreement with Egyptian oil giant Badr Petroleum Company (Bapetco). Aker Solutions will be the sole supplier for all of the oil company's surface wellhead equipment, installation and lifecycle services operations in the Western Desert of Egypt. Contract value is undisclosed. 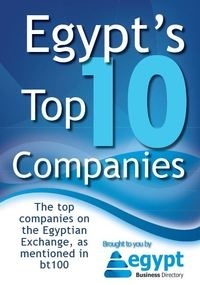 Dave Hutchinson, president of Aker Solutions in Asia Pacific says: "We are very excited about this award, as it marks the successful entry of our surface business into the Egyptian and North African markets. Our ambition is to grow Aker Solutions' operations in the Middle East and North Africa." The contract will be delivered out of Aker Solutions' surface products manufacturing centre in Batam, Indonesia, which was established in 1992. In 2009, Aker Solutions upgraded the Batam facility in order to increase its production capacity. As a result, manufacturing capacity for production and assembly of surface wellheads and trees has increased by more than 50 percent, or equivalent to 300,000 man hours. Aker Solutions employs approximately 320 people in Batam of which 90 percent are locals. Aker Solutions is one of the world's leading oilfield products, systems and services companies. The company has 23 500 employees in 30 countries worldwide and had aggregated annual revenues of approximately NOK 36.5 billion (USD 6.5 billion) in 2011. The contract was signed and booked as order intake in the first quarter of 2012. The contract party is Aker Solutions Singapore Pte.